Healthy Aging at Grace Ridge - Grace Ridge Retirement Community - Morganton, N.C.
What does healthy aging mean to you? At Grace Ridge, healthy aging takes many forms, including physical, emotional, spiritual, intellectual and vocational. As part of our Good Moods program, we focus on a variety of activities that help our residents thrive. 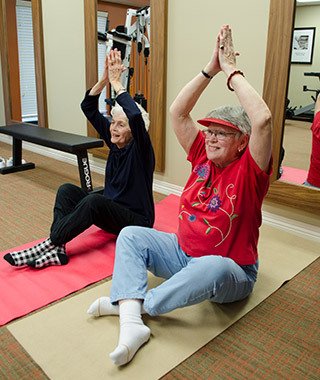 Here are some of the latest ways we’re promoting healthy aging at Grace Ridge. 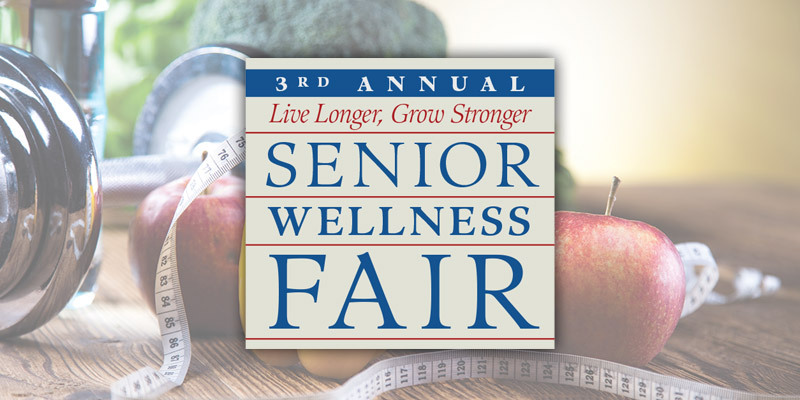 On Oct. 6 from 8 a.m. to noon, Grace Ridge hosts our senior wellness fair — known as Live Longer, Grow Stronger — for the third year. The event will feature a number of attractions, including presentations on maintaining your wellness along with screenings and assessments for glucose, blood pressure, hearing, cholesterol, balance and fitness, and cognitive testing. Presentations focus on timely topics like identity theft and scams, healthy lifestyle choices, allergies and asthma, essential oils and macular degeneration. In addition, you can enjoy a chair massage and get your flu shot, offered through Maxim Health Systems. To get your flu shot, you’ll need your medical insurance card or Medicare Part B card. The fair is free and open to individuals over age 60. If you’d like to attend, please register by Oct. 2. For more information, call (828) 580-8402. September is Yoga Awareness Month — an annual event intended to raise consciousness among the public about the many health benefits of yoga. At Grace Ridge, residents can participate in our yoga class as they learn to bring their mind, body and spirit into harmony. Our class meets Friday mornings with our certified instructor from Carolinas HealthCare System Blue Ridge’s Phifer Wellness Center. A growing body of research has found a number of benefits for individuals who practice yoga regularly. Obesity, heart disease, blood pressure and high cholesterol are among the conditions that yoga may help. Studies also suggest that this relaxing form of exercise can help eliminate pain and physical discomfort associated with other health problems. With National Falls Prevention Awareness Day also taking place during September, it’s a good time to consider the ways our team works to help residents avoid falls. One established intervention against falls is the practice of tai chi; recent research has found that this gentle form of exercise may decrease the risk of some types of falls by approximately half in older adults and individuals at risk for falls. Two Grace Ridge staff members hold certification from the Tai Chi for Health Institute in Tai Chi for Arthritis and Fall Prevention. In addition, promoting overall brain and body fitness also may help reduce the risk of falls. Earlier this year, Grace Ridge offered the Ageless Grace® program, which teaches participants movements to help promote anti-aging markers like balance, fall prevention, bone density and joint mobility.